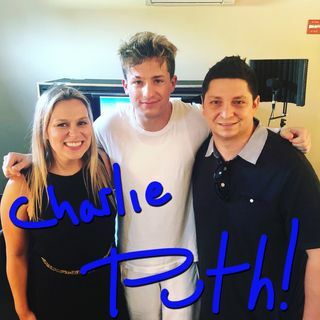 Charlie Puth live from his mobile recording studio! We chat with Charlie Puth, continue to give hints for question 3, our boss Dan shares his funny Janet Jackson story, we give you the lineup for this years pride concert, Denise is trying to figure out the meaning of life and more! Borrowing usually means you can’t pay it back. Make it yourself and you don’t have to worry about it. That was a millennial question! Don’t borrow money! Yes Brent!!! Make your own way. Bye Everyone have a great #TBT!!!! Don’t ask your boyfriend to borrow money. Make your own way. @Everyone I still work for free for things I love because I know it will pay off later and I have fun! Have a great one you guys. @Brent--Love that saying sums it up exactly! I just passed out laughing! !